Contra Levy, I do think there is quite a bit that can be done to reconcile analytical and continental approaches, combining them into a (newly) expanded view of philosophy that has both depth and breadth, and is concerned both with specific technical “puzzles” and with broad socio-political issues. I will use the contrast drawn above between philosophy of science (largely analytical) and “science studies” (more continental) as an example of where the differences lie and how to overcome them. Not everything will be rosy in the picture that I propose, since what some analytical philosophers have been up to may indeed turn out to be somewhat irrelevant, while what some continentalists have been arguing will reveal itself as pretty debatable to say the least. Still, it is far more preferable to seek the best of both worlds than to dwell on their respective worst. Let us begin with a thumbnail sketch of the two approaches to the study of the nature of science. Philosophy of science, as it has been understood throughout the 20th century, is concerned with the logic of scientific theories and practices, which range from broad questions about science at large (say, whether falsifiability of scientific theories is a valid criterion of progress: Popper 1963 vs Laudan 1983, 111) to fairly narrowly defined problems within a given special science (e.g., the concept of biological species: Brigandt 2003; Ereshefsky 1998; Pigliucci 2003). In other words, philosophy of science is a type of analytical practice, where one is concerned with the logic of arguments and the logical structure of concepts, in this case those deployed by scientists in the course of their work. Science studies — as I am using the term here — is a bit more fuzzy, as it includes a number of approaches to the study of science that are not necessarily compatible with each other in a straightforward manner. This includes philosophers who use what may be termed an ethnographic approach to science (e.g., Latour and Woolgar 1986), those who are interested in cross-cultural comparisons among similar types of science laboratories (Traweek 1988), and those who take a feminist approach to scientific epistemology (Keller 1983; Longino 1990), among others. What these authors have in common is a focus on the social and political dimensions of science, which is seen primarily as a human activity characterized by ideologies and issues of power. The clash between the two perspectives has led to the already mentioned “science wars” of the 1990s, of which the iconic moment was represented by the highly controversial “Sokal affair” (Sokal and Bricmont 2003). As is well known, New York University physicist Alan Sokal, fed up with what he perceived (at the least in part, it must be said, rightly) as postmodernist nonsense about science, concocted a fake paper entitled “Transgressing the Boundaries: Towards a Transformative Hermeneutics of Quantum Gravity,” submitted it to the editors of the prestigious postmodernist journal Social Text, and managed to get it published before exposing it as a hoax. While certainly shaming for the editors involved, and a highly visible black mark for a certain way of criticizing science, the import of the affair should probably not have been as large as it turned out to be. Sokal himself recognized that one can hardly impugn an entire tradition of scholarship on the basis of one editorial mistake, particularly given that Social Text is not even a peer reviewed publication. Nonetheless, one can understand the frustration of scientists (and of analytical philosophers of science) in the face of, for instance, extreme feminist epistemology, where one author boasts (with little to back up her rather extraordinary claim) that “I doubt in our wildest dreams we ever imagined we would have to reinvent both science and theorizing itself” (Harding 1989); or of Bruno Latour’s (1988) scientifically naive psychoanalytical re-interpretation of Einstein’s theory of general relativity. What got lost in the kerfuffle is that of course science is both an epistemic activity that at least strives for (and has been historically remarkably successful at) a rational use of evidence and a social activity with inevitable ideological, political and even personal psychological components playing a non inconspicuous part in it. In some sense, this is nothing new. John Stuart Mill, one of the early “philosophers of science” (in the broadest sense of the term, which of course was not in use at the time) was well aware of the fallibility of science as a human enterprise (Longino 2006), which brought him to the conclusion (similar to Longino 1990, the latter arrived at from a feminist perspective) that the best science is the result of collective cross-criticism. But Mill was also very much a philosopher of science in what would later become the analytical sense of the term, for instance engaging in a famous debate with Whewell (Whewell 1847; Mill 1874) on the nature of induction. It is, further, not the case that 20th century philosophers of science completely ignored the social (and even historical) dimension of science. That is what made Kuhn’s (1963) famous work so notable (and controversial). And of course let us not forget the radical critique of science produced by enfant terrible Paul Feyerabend (1975). While neither Kuhn nor Feyerabend can reasonably be considered part of the postmodern-continental tradition, they have both been invoked as forerunners of the latter when it comes to science studies — Feyerabend would have likely be pleased, while Kuhn certainly would have declined the honor. Both of them made points that should provide part of a blueprint for an expanded philosophy of science, albeit not necessarily following the exact lines drawn by these two authors. For instance, Feyerabend was simply (and purposefully) being irritating when — in what sounds like a caricature of postmodernism — he said that the only absolute truth is that there are no absolute truths, or when he wrote “three cheers for the fundamentalists in California who succeeded in having a dogmatic formulation of the theory of evolution removed from textbooks and an account of Genesis included” (Feyerabend 1974). Then again, he did realize that said fundamentalists from California would soon become a center of power in their own right and cause problems in turn: “I have no doubt that they would be just as dogmatic and close-minded if given the chance.” A more equitable assessment of the situation might be that religious fundamentalists are much more likely than mainstream scientists to be dogmatic and close-minded, but that this doesn’t imply that scientists cannot be or have not been as well. Kuhn — who interestingly started out as a physicist, moving then to history and philosophy of science — contrasted his descriptive approach to understanding how science works with Popper’s more traditionally prescriptive one. While Popper (and others) pretended to tell scientists what they were doing right (or wrong) based on a priori principles of logic, Kuhn wanted to figure out how real science actually works, and one sure way of doing this is through historical analyses (another one, taken up by many scholars in the continental tradition, is to do sociology of science). The reason he became a precursor of certain types of science studies, and at the same time got into trouble with many in philosophy of science, is that his model of normal science equilibria punctuated by paradigm changes does not have an immediate way to accommodate the idea that science makes progress. This was not, apparently, Kuhn’s intention, hence his 1969 postscript to clarify his views and distance himself from a more radically postmodern reading of The Structure of Scientific Revolutions. Again, though, it seems to me that in Kuhn as in Feyerabend there is a tension that is not really necessary: one can reasonably argue that science is a power structure prone to corrupt if left unchecked, and yet not go all relativist and say that it is thereby no different than a fundamentalist church. Equally, one can stress the importance of both historical and sociological analyses of science without for that reason having to throw out the value of logic and epistemology. Can the insights and approaches of philosophy of science and science studies be reconciled to forge a better and more comprehensive philosophy of science? Yes, and this project has already been under way for close to three decades, a synthesis that constitutes my first clear example of (conceptual) progress in philosophy. While there are a number of scholars that could be discussed in this context, not all of them necessarily using the same approach, I am particularly attracted to what Longino (2006) calls “reconciliationists,” a group that includes Hesse (1974, 1980), Giere (1988), and Kitcher (1993). Giere, for instance, applies decision theory to the modeling of scientific judgment, which allows him to include sociological parameters as part of the mix. His approach later led him to formulate a broader theory of the nature of science from a “perspectivist” standpoint (Giere 2010). The analogy introduced and developed by Giere is with color perception (hence the name of the approach): there is no such thing as an absolutely objective, observer-independent, perception of color; and yet it is also not the case that color perception is irreducibly subjective. This is because the perception of color is the result of two types of phenomena: on the one hand, color is the outcome of observer-independent facts, such as diffraction and wavelength of incident light on physical objects with certain surface characteristics; on the other hand, it is made possible by the brain’s particular way of interpreting and transducing external stimuli and internal electrical and chemical signals. Similarly, science is a process by which the objective, mind-independent external world is understood via the psychological and sociological factors affecting human cognition. The result is a (inherently subjective, yet often converging) perspective on the world. A nice compromise between the “view from nowhere” assumed by classical philosophers of science and the irreducible relativism of postmodern science studies. Hesse’s (1974, 1980) approach is intriguing in its own right, and builds on Quine’s concept of human knowledge as a “web of belief” (as opposed to, say, an edifice of knowledge/belief, an image which raises endless and futile questions concerning the “foundations” of such edifice: Fumerton 2010). Hesse reaches even further back, to the work of Duhem as presented in the latter’s The Aim and Structure of Physical Theory, even though modern scholars recognize important distinctions between the views of Duhem and those of Quine in this respect (Ariew 1984). The basic idea is to build a Duhem-Quine type web of belief, some of the elements of which are not just scientific facts and theories, but also social factors and other criteria that go into the general practice of science: “there is [thus] no theoretical fact or lawlike relation whose truth or falsity can be determined in isolation from the rest of the network. Moreover, many conflicting networks may more or less fit the same facts, and which one is adopted must depend on criteria other than the facts: criteria involving simplicity, coherence with other parts of science, and so on” (Hesse 1974, 26). While this is far more permissive than perhaps a strict logical positivist might like, it is certainly no nudge in the direction of Feyerabend-like methodological anarchism, and much less is it of any comfort to epistemic relativism. What I have presented here, of course, is but a sketch of a large and continuously evolving field within the broader scope of philosophy. Nevertheless, I think I have made a reasonable argument that analytical and continental approaches to the study of science can both be pruned of their excesses or dead weight, as well as that the best of the two traditions can (indeed, should) be combined into a more vibrant and relevant conception of philosophy of science. As a bonus, we have also just encountered our first example of how philosophy makes progress. By now the reader should have a better overall picture of what philosophy is, and of why it is a distinctive, and yet somewhat inclusive, type of intellectual inquiry. The fundamental contrast, as I see it, is neither between analytical and continental approaches, nor between East and West. It is not even one of specialization vs generalism, or of particular subject matters that are or are not amenable to philosophizing. The distinctive characteristic of philosophy in the sense I use the term throughout this book is its DRA nature: to do philosophy means to engage in discursive rationality and argumentation. As we will see next, for much of the 20th century, at the least in the Western world, this has meant using science as a model to emulate and an arbiter to invoke, in what is sometimes referred to as the “naturalistic” turn. Ariew, R. (1984) The Duhem thesis. British Journal for the Philosophy of Science 35:313-325. Brigandt, I. (2003) Species Pluralism Does Not Imply Species Eliminativism. Philosophy of Science 70:1305–1316. Ereshefsky, M. (1998) Species Pluralism and Anti-Realism. Philosophy of Science 65:103–120. Feyerabend, P. (1974) How to defend society against science. (accessed on 7 August 2012). Feyerabend, P. (1975) Against Method. Verso. Fumerton, R. (2010) Foundationalist theories of epistemic justification. Stanford Encyclopedia of Philosophy (accessed on 7 August 2012). Giere, R. (1988) Explaining Science: A Cognitive Approach. University of Chicago Press. Giere, R. (2010) Scientific Perspectivism. University of Chicago Press. Harding, S. (1989) Value-free research is a delusion. New York Times, 22 October. Hesse, M. (1974) The Structure of Scientific Inference. University of California Press. Hesse, M. (1980) Revolutions and Reconstructions in the Philosophy of Science. Indiana University Press. Keller, E.F. (1983) A Feeling for the Organism: The Life and Work of Barbara McClintock. W.H. Freeman. Kitcher, P. (1993) The Advancement of Science: Science Without Legend, Objectivity Without Illusions. Oxford University Press. Latour, B. (1988) A relativistic account of Einstein’s relativity. Social Studies of Science 18:3-44. Latour, B. and Woolgar, S. (1986) Laboratory Life: The Construction of Scientific Facts. Princeton University Press. Laudan, L. (1983). The demise of the demarcation problem. In: R.S. Cohan and L. Laudan (eds.) Physics, Philosophy, and Psychoanalysis. Reidel. Longino, H. (1990) Science as Social Knowledge: Values and Objectivity in Scientific Inquiry. Princeton University Press. Longino, H. (2006) The social dimensions of scientific knowledge. 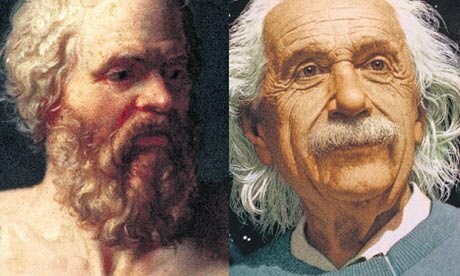 Stanford Encyclopedia of Philosophy (accessed on 25 July 2012). Mill, J.S. (1874) A System of Logic, Ratiocinative and Inductive: Being a Connected View of the Principles of Evidence and the Methods of Scientific Investigation. Harper & Row. Pigliucci, M. (2003) Species as family resemblance concepts the (dis-)solution of the species problem? BioEssays 25:596–602. Sokal, A. and Bricmont, J. (2003) Intellectual Impostures. Profile Books. Traweek, S. (1988) Beamtimes and Lifetimes: The World of High Energy Physicists. Harvard University Press. Whewell, W. (1847) Philosophy of the Inductive Sciences. John W. Parker. This entry was posted in Nature of Philosophy on April 21, 2016 by Massimo. The second idea was to apply ordinary measurement practices to understand the scope and dimensions of this cosmic architecture. In combining these two ideas, The second idea was to apply ordinary measurement practices to understand the scope and dimensions of this cosmic architecture. In combining these two ideas, Eratosthenes came up with the audacious notion that the same techniques that had been developed for building houses and bridges, laying out fields and roads, and predicting floods and monsoons could provide information about the dimensions of the earth and other heavenly bodies. Crease, Robert (2007-12-18). The Prism and the Pendulum: The Ten Most Beautiful Experiments in Science (pp. 1-2). Random House Publishing Group. Kindle Edition. s came up with the audacious. Eratosthenes used the empirical tools of builders to work out the size of the earth. Science! This from book we just started for the Martin Perl bookclub. Not having read the books of Kitcher, Giere and Hesse should not stop me from asking: what do we actually get from a synthesis between the cognitive-epistemic and social models of science that we don’t get from “common sense” politics and sociology? As you point out, it’s not like practicing scientists or the funders of science are unaware of the social nature of scientific practice. The science educationalists do particularly seem to like the “reconciliationist” approach, because they can teach it to K-12 science students. But where exactly does the sociology of science stop and the philosophy start? seem to suggest that perspectivism, as an example, is either uncontroversial “different representations may offer different and conflicting perspectives”, which doesn’t seem particularly fruitful for further progress; or complicated by metaphysical or epistemic additions eg: “P1: We have knowledge of perspectival facts only, because nonperspectival facts are beyond our epistemic grasp” or “P2. We have knowledge of perspectival facts only, because there are no non-perspectival facts to be known”. As he notes, these take one back to the extreme end of the science and technology studies approaches. seems to walk a not-quite-instrumentalist line, that we should act as if clashing perspectives will always reconciled by further research uncovering non-perspectival facts (given that they usually have been so far). This seems very sensible to me, but only because it chimes with the “naive” viewpoint of most scientists (if they were asked about it). As I referred to in a previous comment I really like what your saying. I also like what I think some ‘postmodernists’ are talking about (but I haven’t got much to base that on) i.e. I’m not sure all postmodernists are irreducible relativists, at least in a way I hope some aren’t.